This Is The Big Kahuna! The Big Kahuna lives up to its name, standing over 18ft high! 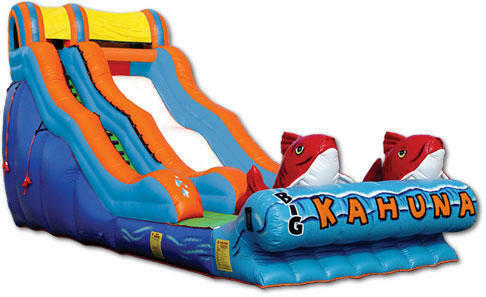 Large doublewide slide area, with two giant red fish to greet you at the bottom.